Well, we all know how much I like me a bit of luxury don't we - but who doesn't! 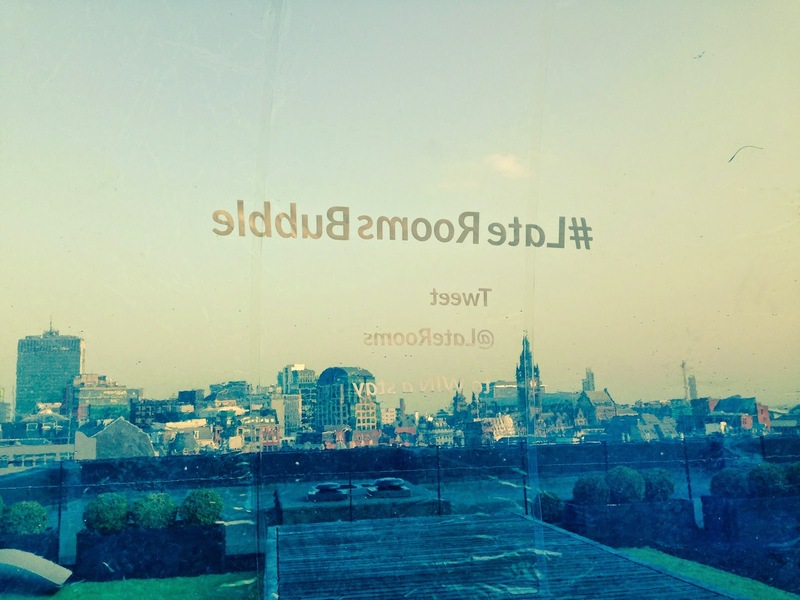 A few months ago I was offered a brilliant opportunity from LateRooms.com to stay in some pritty brilliant accommodation of theirs, but, well it was accommodation with a bit of a crazy twist. They offered me the very unique experience of having one of only three available nights staying in their crazy-amazing pop-up Bubble Hotel. 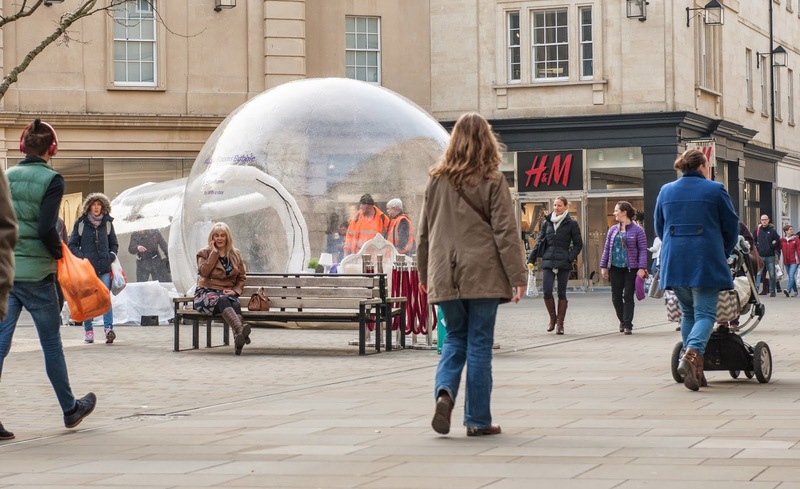 Yes, it really does involve staying and sleeping in an actual bubble shaped, totally see-through room - for all of the world to see. Imagine how totally disappointed I was when I had to turn the offer down. But after working until late on a Friday afternoon, heading to the hotel's location at that time in rush hour traffic would have been a total nightmare and I wouldn't have arrived until near on 11pm. I just felt that the amazing, slightly crazy experience would have been totally wasted on me.
! The Bubble Is Back In Town ! But in which town exactly? 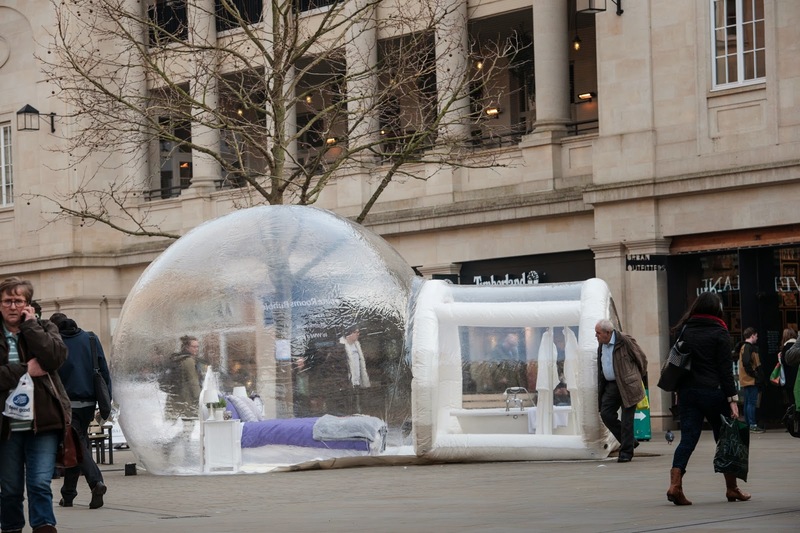 LateRooms.com currently have a competition running where they will pick one lucky person from the collection of entries they receive and will set up the Bubble Hotel anywhere in the UK, allowing the winner to spend a night within their "room with a 360 degree view" wherever they want. The location can be anywhere - at any event, at a favourite seaside location, in a field under the stars, in your local town outside your favourite shop - any location you can think of, the hotel will arrive. ~ Competition entry submitted for a very cool night away! The competition runs until midnight on 14th April, 2015 - so get Tweeting - and fast. I'd love it in my garden - my family moved to a village recently and it would be so cool to have a place to sleep in and make the most of the fog free clear beautiful starry sky!!! Just entered with Robin Hood's Bay as my location! No way this is crazy! I don't even know if this is something I would want to do?! Maybe not in the middle of the shopping streets.... It would be pretty amazing with a view of the beach/mountains or something though! It reminds me of those igloos that you can stay in in Lapland where you get a similar panoramic view of the northern lights above!